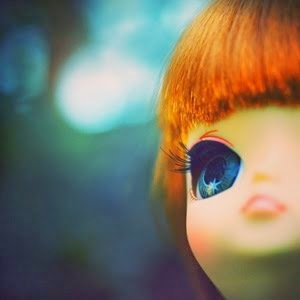 If you're into Blythe, then I won't need to introduce Mademoiselle Blythe, aka Fanny. For those of you who might not know her, Fanny owns a wonderful blog dedicated to her passion for Blythe dolls, in which you'll find, among other things, plenty of useful informations and topics as well as interviews of Blythe people. She is our one and only Blythe journalist ! It is therefore needless to say that I was very pleased and honored to answer her questions, and it gave me the opportunity to be a bit more talkative than I usually am. 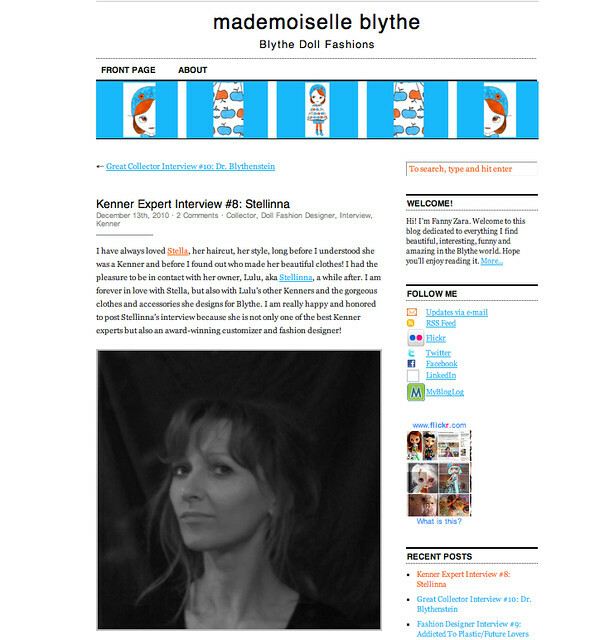 The interview can be found on her blog.